Hey y’all! 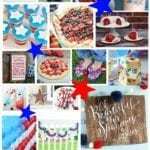 I have been on a short little blogging break since school let out for summer but I am so happy to be back in action and teaming up with a bunch of my blogging friends for the second annual Red White and Blue Blog Hop. The blog hop is hosted by Abbey of The Cards We Drew and she does such a good job organizing everything! I am sharing a recipe for red, white and blue cookies this year. These cookies are so easy, so fun and oh so yummy! If you are looking for something magical then you should make these babies – they magically disappear before your eyes! Seriously I love being surrounded by such awesomely creative people. The image above is just a sample of what you will find throughout the blog hop. 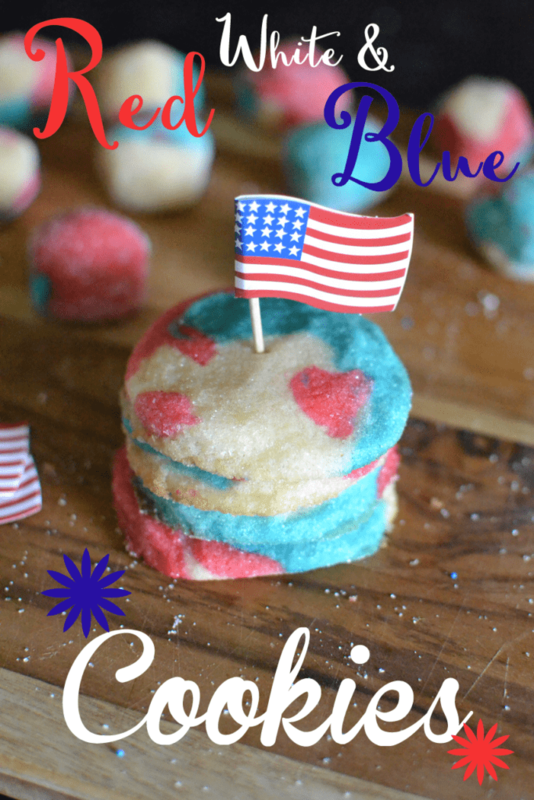 Scroll through to see my cookie recipe and find all of the other Red White and Blue ideas below that! Last year I shared Red White and Blue Ice-Pops during the First Annual Red White and Blue Blog Hop. 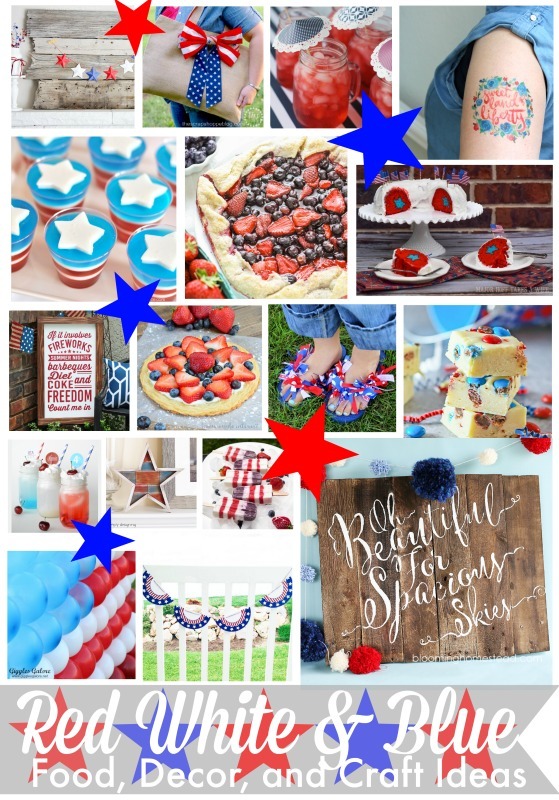 If you are looking for even more patriotic inspiration head over and take a look through all of those ideas too! Add in egg and mix until incorporated. Stir in baking powder, salt, vanilla and 2 cups of flour. The mixture will seem to be very dry at first – you may need to use your hand to really mix it in and if it is too sticky add another 1/4 cup of flour. Separate dough into three separate bowls. Add blue food coloring to one bowl and red to another. Stir until food coloring is fully incorporated. Take a pinch of dough from each of the three bowls and roll dough into one inch circles, roll into sugar and place on parchment paper lined cookie sheet. If you would like to add sprinkles to your cookies press them down into a cup of sprinkles so just the tops will have them. Gently push cookies down with your middle three fingers and bake for 9 minutes. Remove from the oven and let them set on the cookie sheet for one minute before placing them on a wire rack to cool completely. Too get really vibrant colors (especially red rather than pink) I usually use Wilton food coloring but I was all out and used liquid food coloring drops. I kept adding and stirring until I got the colors I wanted and in the end they turned out perfectly.